The last of a 3 part series! Join us for an evening of placemaking and networking! Hear about the exciting revitalization work currently going on in Charlevoix and learn about resources to help maintain and support the historic fabric that makes Charlevoix unique. 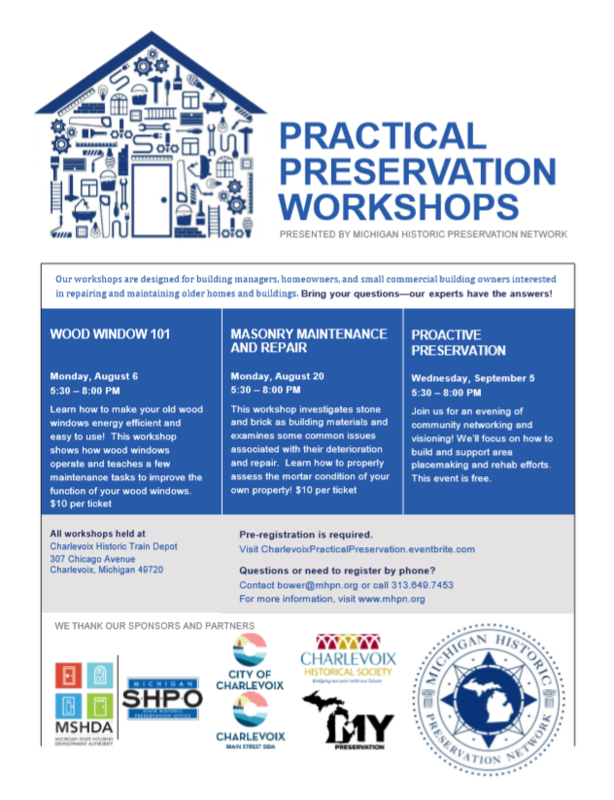 The final workshop in the Practical Preservation Workshop series occurs on September 5 from 5:30-8 pm at the Charlevoix Historic Train Depot. 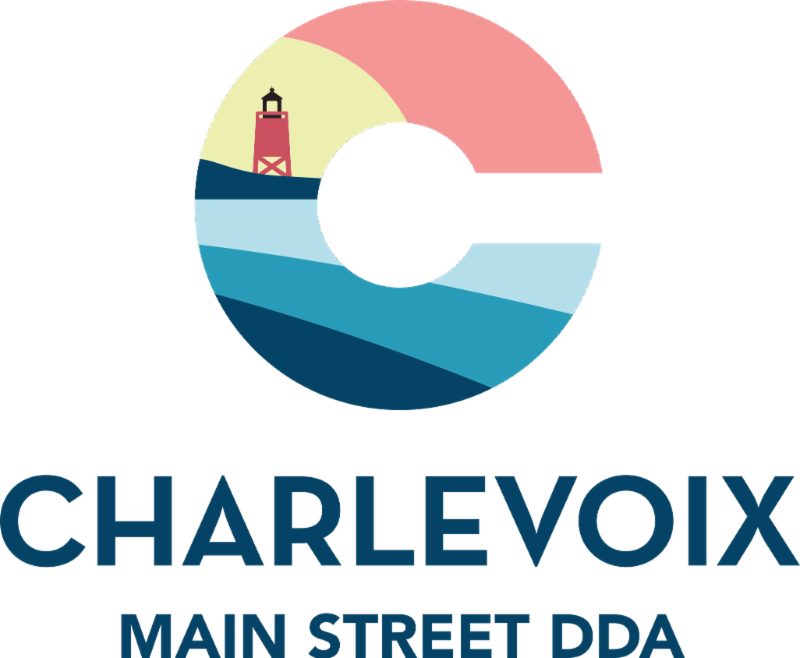 Building on the demonstration workshops hosted in August, this workshop will focus on networking and visioning for the future of historic preservation in Charlevoix. Let’s discuss the benefits and challenges of maintaining, saving, and reusing old buildings, and how we can build and support a community of old house enthusiasts and rehabbers in the Charlevoix. Community leaders, elected officials, stakeholders, and residents who care about historic places shouldn’t miss this free workshop ! Light dinner to be provided by Charlevoix Pizza Company. 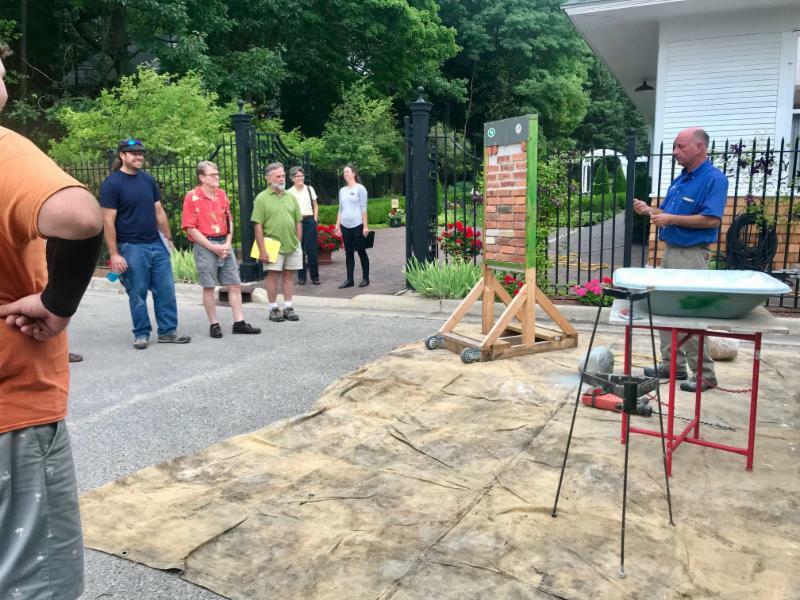 Participants got hands-on during the recent Masonry Workshop on August 20th.